I met her when I was 19 years old. I’d been recommended for a job at the campus writing center, and she was the first staff member to greet me. It took me a minute to absorb this. 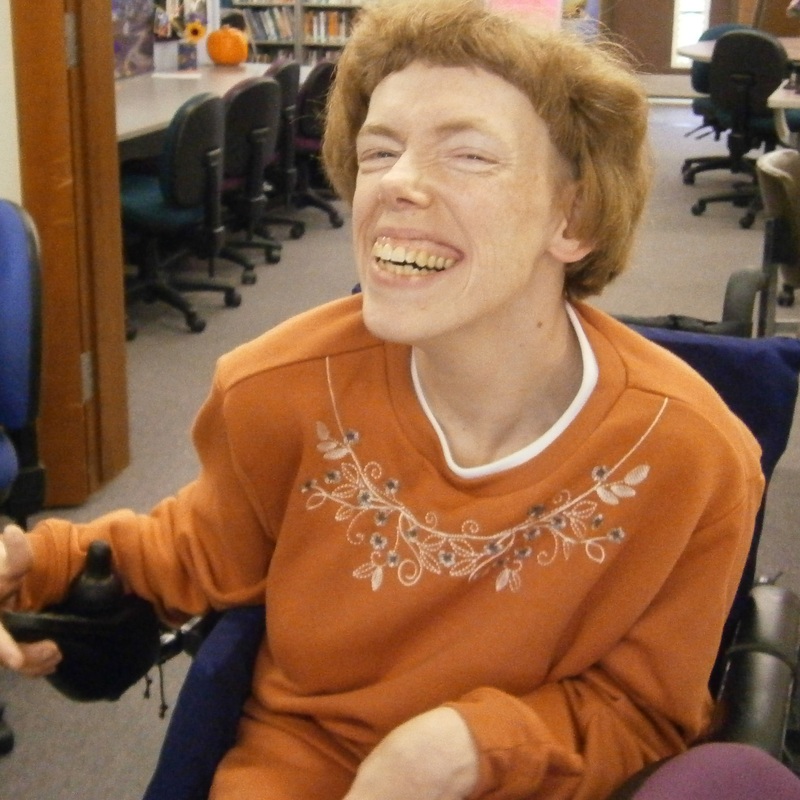 Jana has cerebral palsy and relies on a wheelchair to get around. I was blinded by the ableism that, in the years since, I’ve seen so many other students walk in with. She’s a student. Couldn’t possibly be staff. But a minute with Jana, and you start to see. She has the toothiest smile, the hardest laugh. The keenest mind–but the gentlest way with that sharpest of blades. She ranks among the best educators I’ve ever known, and it was from her I learned when to push students and when to listen to them. Jana knows all about pushing. In elementary school in the 1970s, teachers held Jana back, told her parents she’d never be able to perform alongside average children. Better to not make her feel like a failure. She would never succeed in school, so just try to make her comfortable. They shot that down. Instead, they played a key role in pushing through the Americans with Disabilities Act. And Jana, who learned to push through the pain and stigma early on, trained herself to always see the brighter side of things. She fought her way to the University of Washington where she double majored in Mathematics and English. And for nearly 20 years, she has taught and tutored generations of community college students. But today I got a message. She’s in the hospital. Recovery from surgery took a turn for the worse, and she developed pneumonia. The doctors have sedated her, so she’ll recuperate more easily–without all the muscle spasms. But I’m scared just the same. She woke up late last night while the doctors were in her room, checking in on her. “When can I get back to work?” She asked. “Not any time soon,” they told her. That sounds about right. Just like her. She feels a responsibility for her students and colleagues that exceeds professionalism. This is a woman with a deep, abiding passion for education. The desire to give everyone else the same opportunity she had–and to push the students who need to be pushed–burns hot in that woman. Sometimes you get lucky, and a person comes along who carries a light into your life. A Promethean spark. And from her own flame, she kindles yours. Jana is just such a human being. And the world needs every minute she can spare us. I don’t really pray much. I wouldn’t know what to pray to. But I’m praying tonight she’ll pull through this.